If you’re into online gaming and esports, Activision Blizzard is a well-known name. It is the world’s most successful standalone interactive entertainment company. Headquarter of the company is in Santa Monica, California but its entertainment network has approximately 500 monthly active users in 196 countries, but Activision Blizzard doesn’t plan to start there. They also plan to expand their esports division with three new hires and we bring you all details. 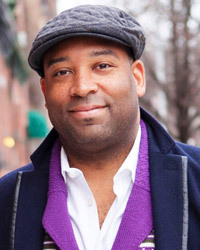 Daniel Cherry – chief marketing officer with more than 20 years of experience in marketing niche. Until recently, Cherry served as a chief marketing and innovation officer at New Jersey Devils and the Prudential Center. During his most recent “gigs”, Daniel’s job was to oversee all marketing and sales strategies, branding, innovation, and he was also a part of the senior leadership team. After joining Activision Blizzard’s team, Cherry didn’t hide his admiration about the company’s innovative approach to supporting its brands such as Overwatch and Call of Duty. He likes the fact that Activision Blizzard supports its brands in a unique manner beyond the games. Activision Blizzard supports its brands as both entertainment platforms and distinct professional leagues. The entertainment mogul’s desire to revolutionize the modern sports resonates with Cherry which is yet another reason he joined the company. Marc Kolin – vice president of finance and strategy. His last place of employment was NBC Universal where he worked on operations involving financial planning, analytics, financial analysis, strategic initiatives, among other things. Kolin also worked on back-of-house accounting for Universal Studios Hollywood Theme Park in LA. Before his NBC Universal job, Kolin worked for National Basketball Association and National Football League. After joining Activision Blizzard, Kolin said it’s exciting to join such a great organization. He also praised teams who have worked hard to achieve great results. Brandon Snow – chief revenue officer; he joined Activision Blizzard after worked for National Basketball Association, NBA, WNBA, and NBA G league. Some of his roles were to take care of team marketing and business operations, supporting teams across all aspects of their business operations including ticket sales, sponsorships, marketing, digital data strategy, and so much more. Snow applauded Blizzard’s Overwatch League which made great improvements in attracting major partners from different industries including food and beverage, technology, communications, and automotive. What is the goal of new esports division? All three new hires will report to MLG CEO Pete Vlastelica whose job is to run the division and oversee both Call of Duty and Overwatch leagues. It is also important to mention that Activision Blizzard will commercialize other esports efforts created by the company. With the tremendous success of Overwatch, the company wants to do something similar across other brands created by Blizzard. At the same time, they want to achieve greater success on a global level. Together with Vlastelica, each of three hired exes will play a unique role in efforts to sell expansion franchise slots in Overwatch league. Activision Blizzard is one of the most powerful interactive entertainment companies in the world, but they want to evolve and improve on a constant basis. To make it happen, the company wants to expand and create new esports divisions. They hired three execs with prolific careers to take on unique roles and make Overwatch, Call of Duty, and other esports efforts expand even more on a global level.